Former mixed martial artist Tim Kennedy was not too pleased with Democrat leaders sitting on their butts when Carryn Owens, the wife of Chief Petty Officer William (Ryan) Owens, was honored by President Trump at his Congressional Address. 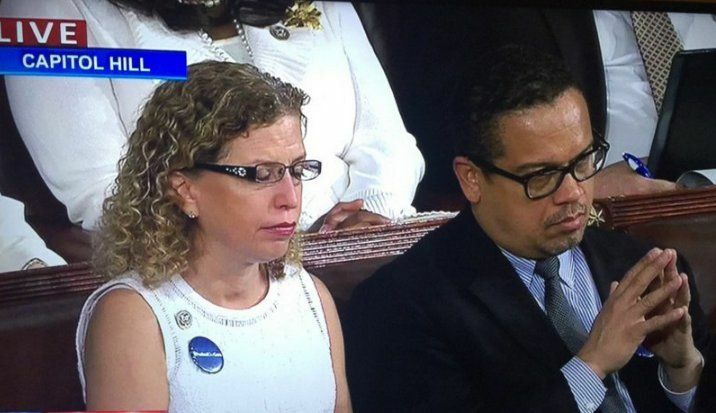 Democrat leaders Keith Ellison and former DNC Chair Debbie Wasserman Schultz were caught on camera sitting when President Trump recognized Carryn and her deceased husband. Kennedy, a former Green Beret and Iraq War veteran, did not hold back in his response to the Democrats who could not even honor a Navy SEAL widow.